On behalf of Admin of JML Law, A Professional Law Corporation posted in Truck Accident on Friday, Aug 24 2018. With fatal accidents involving large trucks rising across the nation each year since 2009, it’s important to remain vigilant on the road. In 2016 alone, approximately 4,500 deaths occurred in large truck accidents, up nearly 1,000 deaths since 2009. Because of the impact, this has on California drivers, people are starting to examine the causes of these collisions, including us. A truck accident attorney in Los Angeles often has a unique insight into the problem. Driver negligence is the most common cause of truck accident fatalities. Though less likely to err than a passenger vehicle driver, the percentage of accidents caused by the driver making a mistake is still high. Errors can include drunk driving, operating the vehicle while fatigued, or texting while driving. While a full eradication of this type of conduct is unlikely, it could stand to be greatly reduced. A cause of big rig accidents that are outside the truck driver’s control is the actions of drivers in passenger vehicles. This can include unsafe passing by swerving too closely in front of the truck and speeding by a rig to reach a turn before them. Truck drivers have a limited response time and have difficulty making sharp turns due to the length of their vehicle. Other drivers should also watch out for the truck’s blind spot, especially if on a motorcycle, and be careful not to follow too closely in case the truck makes a sudden stop. If the smaller vehicle doesn’t have enough time to brake, they can become wedged under the trailer, causing a deadly accident. Most mechanical failures are caused by poor truck maintenance. Trucks are required to be inspected more often than other types of vehicles on the road, but ultimately, it’s up to the operator to be sure that all mechanical parts are in good working order. Collisions can also be caused by poor road conditions like bad weather, construction and road hazards. Rain and ice can increase the distance a truck needs in order to stop and even cause them to slide. Hail, snow, and fog can cause a driver to lose control due to distraction and decreased visibility. In conditions like these, it’s important for passenger and truck drivers to keep their distance from each other. Construction zones can be a challenge for truck operators to navigate due to narrow driving spaces. Both truck and passenger drivers should proceed slowly through road construction and avoid passing on the median or shoulder of the road. Certain roads are hazardous for big rigs. These include those that have potholes, are narrow or unpaved, or do not have a shoulder. Other serious hazards are large animals that venture into the road such as cows, deer, or dogs. Stopping a truck takes too much time to brake quickly and avoid an accident. Drivers of tractor trailers are held to the same standard of reasonable care as passenger vehicles when on the road. However, they have stricter regulations including vehicle inspections, weight limitations, and a maximum number of driving hours. If you feel that a truck driver has been negligent in any of these areas, you may be entitled to compensation. 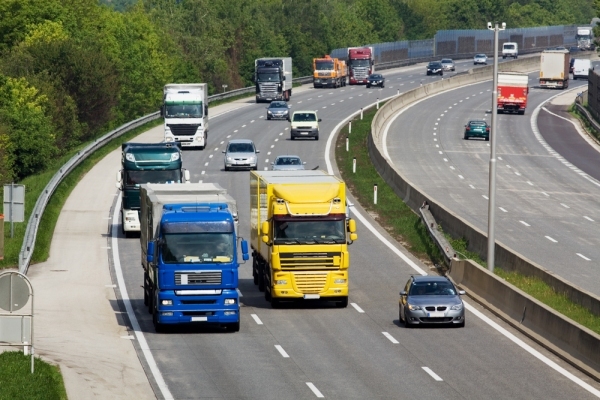 Speak to a truck accident attorney in Los Angeles to find out. If you are a truck driver who has been injured by the actions of a driver in a passenger vehicle, you may be able to recover damages as well. Our attorneys have extensive experience in personal injury cases. We help accident victims and their families obtain monetary compensation to cover their injuries and losses. Don’t rely on an insurance company to pay you a fair settlement. Instead, speak to a lawyer at JML Law today.